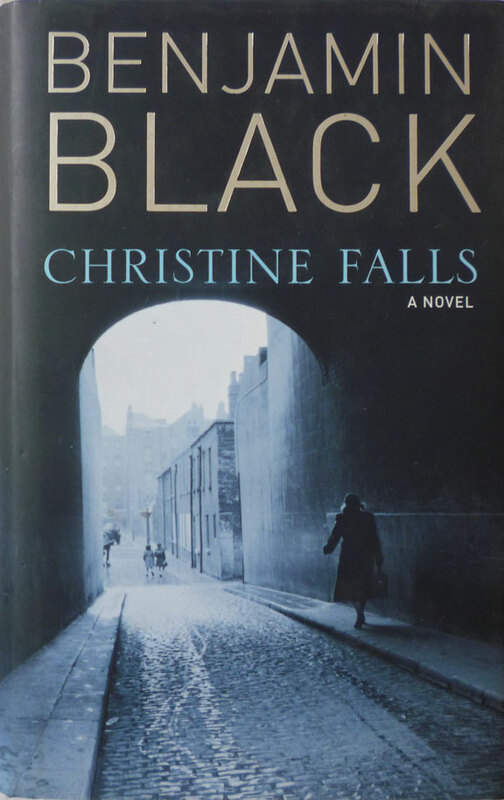 A hardback first edition/first printing of his debut Black novel, Christine Falls, published by Picador in 2006. 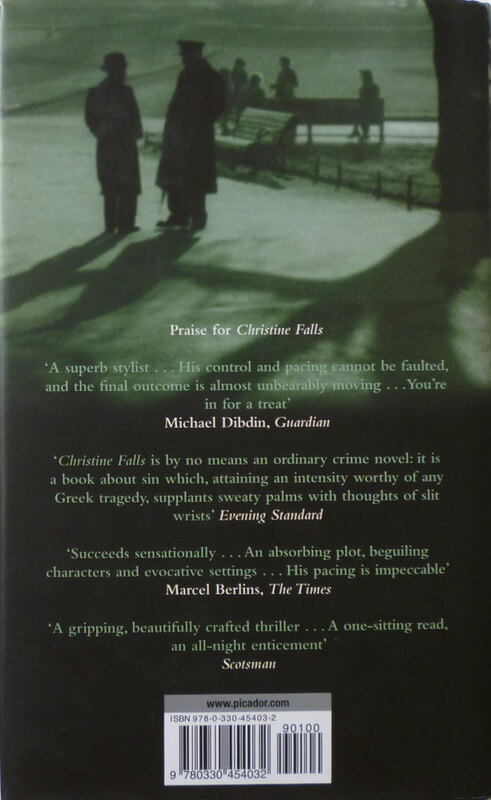 So I can at least read the first two books in Banville/Black's series centring on Dublin pathologist Quirke in the correct order. 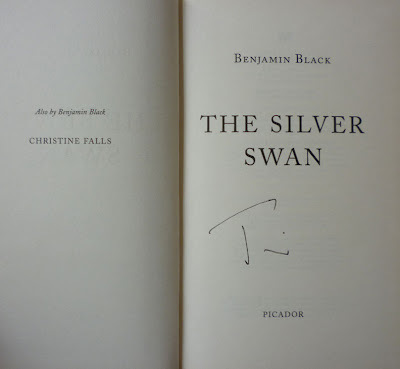 Banville is a fan of a writer who's an abiding obsession of mine, Donald E. Westlake, in particular Westlake's pseudonymous Richard Stark Parker novels. 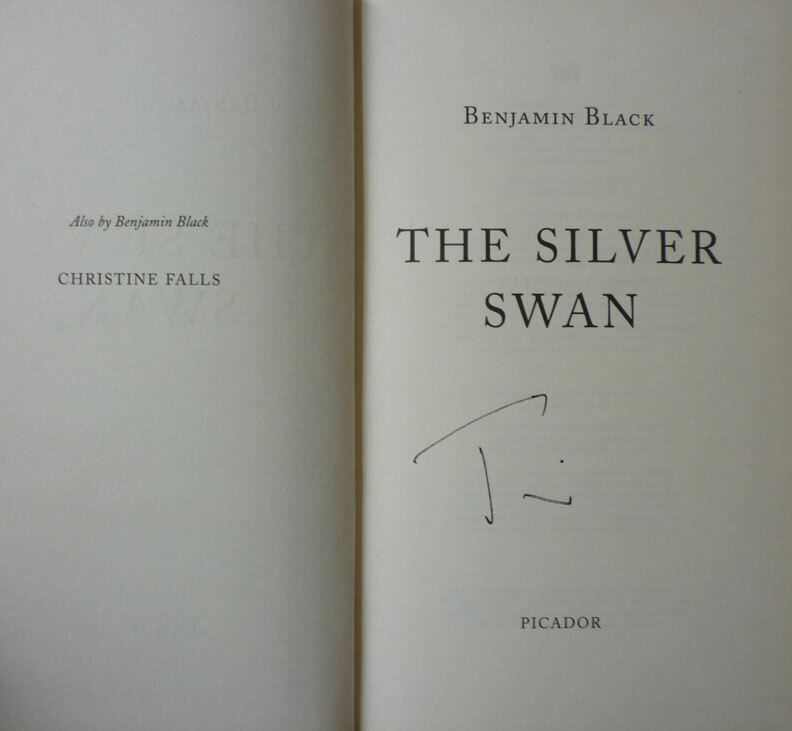 He provided the foreword to The University of Chicago Press' 2009 reprint of The Score (Parker #5), but his appreciation was underlined more recently when The Guardian ran a feature in their Saturday review section in July titled "Partners in Crime Fiction", wherein a variety of contemporary novelists chose their favourite crime writers (to tie in with the Harrogate Theakston's Old Peculiar Crime Writing Festival; my old mucker Keith Walters was one of two "bloggers in residence" at the event and has a series of posts on it on his Books and Writers blog). 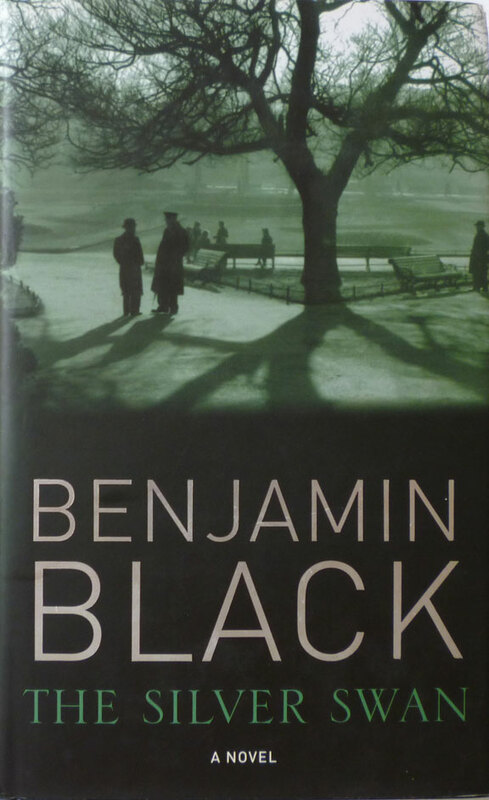 In his Benjamin Black guise Banville led the article, and his pithy Stark testimonial is well worth a read if you haven't chanced across it yet. Looks like it says "Tim." A mystery indeed.